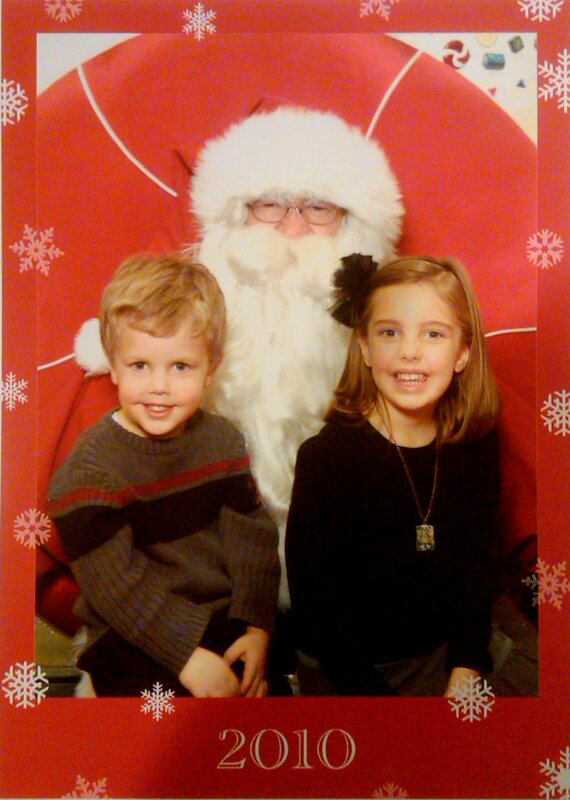 Yesterday we took the kids to the mall to see Santa. Grace told him that she wanted a "Rainbow Doll (Rainbow Bright)" and Gauge asked for an "Orange Chatter (Orange Sing-a-ma-jig)". Santa was so good with them. He kept saying "I just can't believe how much you two have grown since I saw you last year!" Grace said to him "I'm going to be turning 6 really soon" to which Santa replied "I know....I remember last year at this time you were about to turn 5." Her eyes got real big and she had the cutest little grin on her face. Love the sweet sweet innocence of children!